If you’re hosting Thanksgiving in your Nashville home this year, you’re probably already pulling the place together — fresh fall decor touches, a deep clean, maybe buying a few extra chairs. 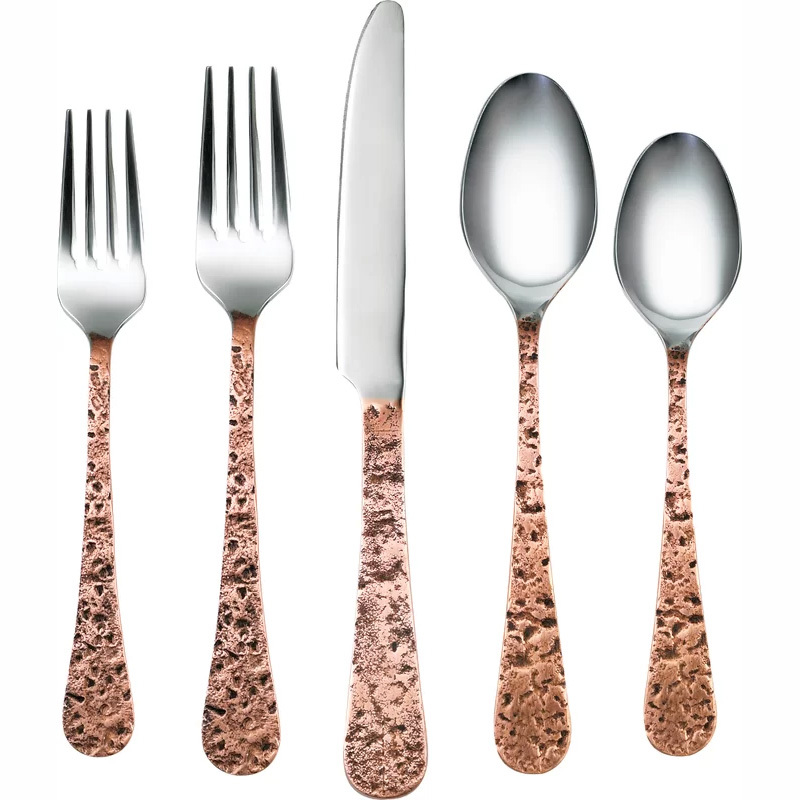 One of our favorite easy ways to refresh a dining room for the holidays: new flatware. 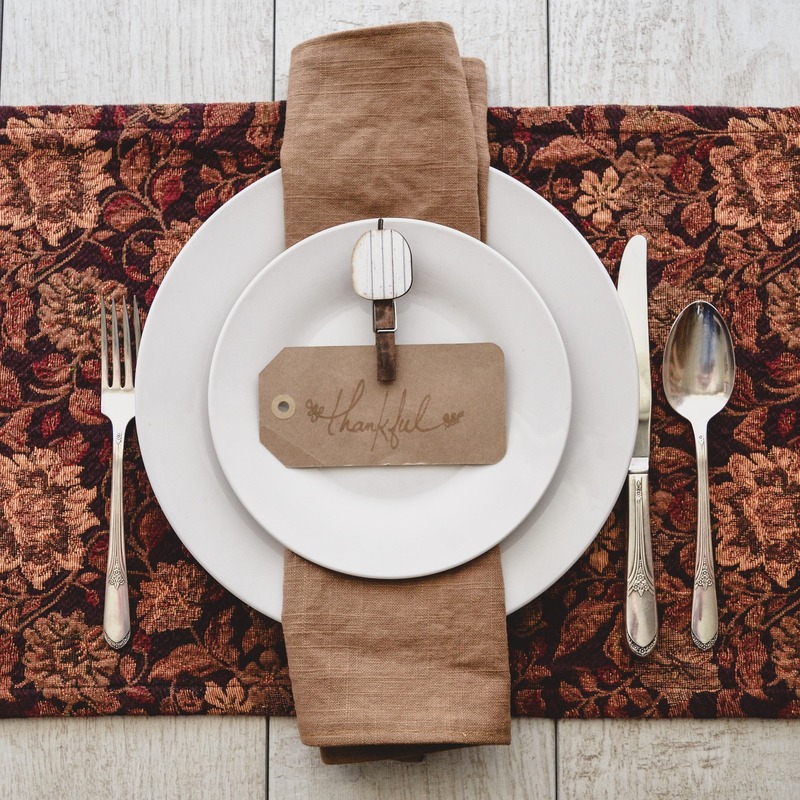 Certain small home-goods touches can really make an impact, and silverware definitely falls into that mix — if you set your Nashville Thanksgiving table with bold, style-forward flatware, it can elevate the look of your whole space. And really, the only work involved is inputting your credit card number. More on the mixed-metals front: stainless steel on the business end, with antiqued copper on the handles. 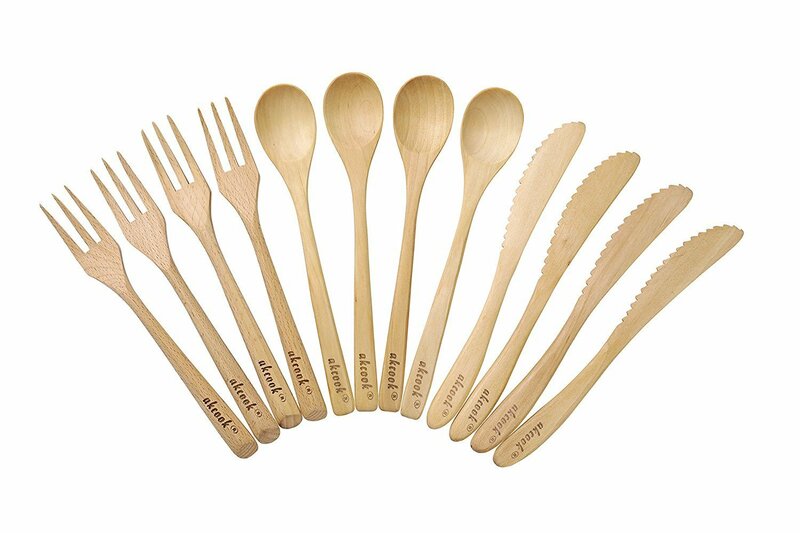 Another affordable option, too, at $61.99 for a 20-piece set. 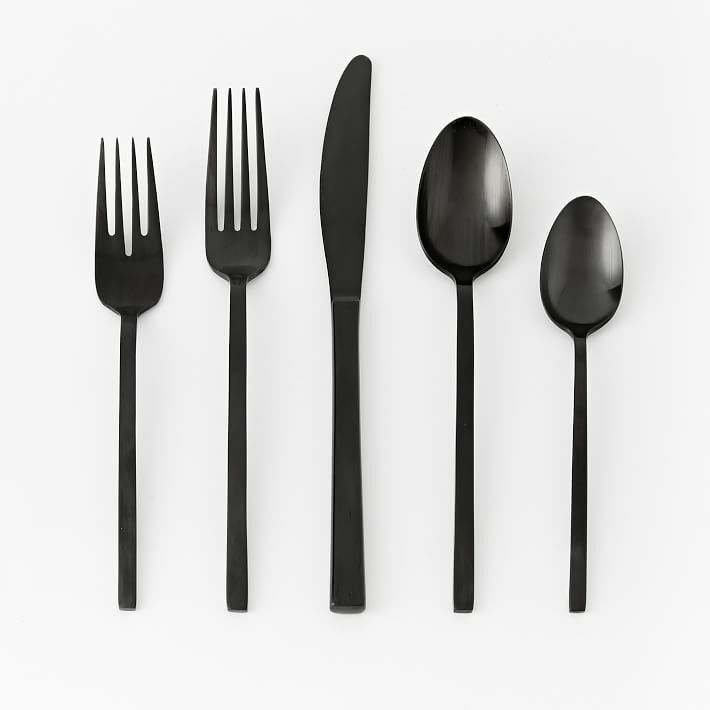 Matte black flatware is definitely having a moment too, and it makes sense, especially when you see pieces like these in person — sleek, bold and modern, not too masculine, not too feminine. They’re more durable than you might imagine, too, made with stainless steel and electroplated black. As of this posting, a five-piece set was on sale for $31. 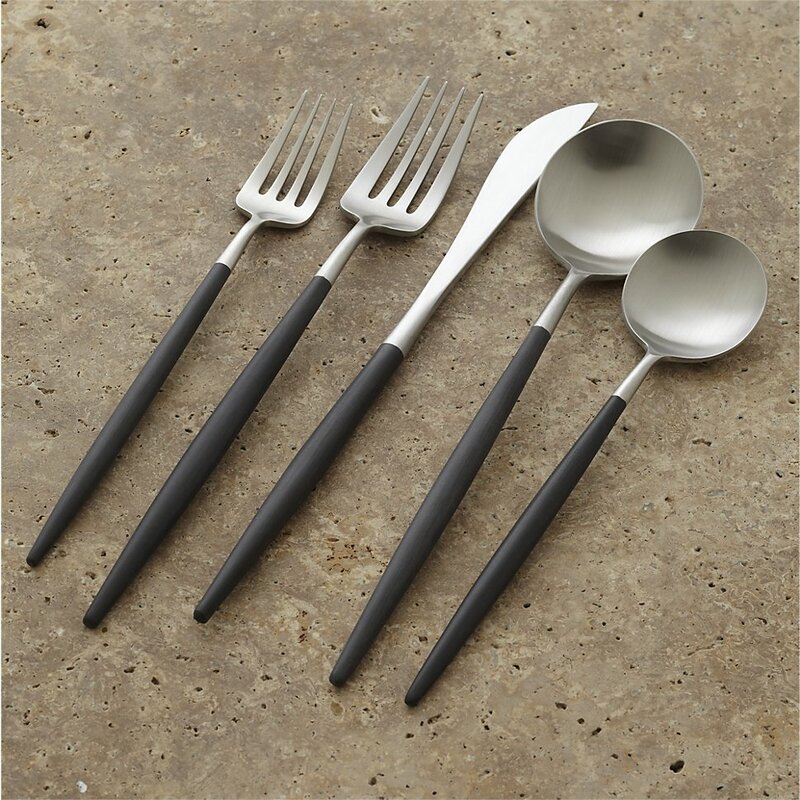 A mix of ultra-modern sculptural shapes with a little bit of matte black on the handles. 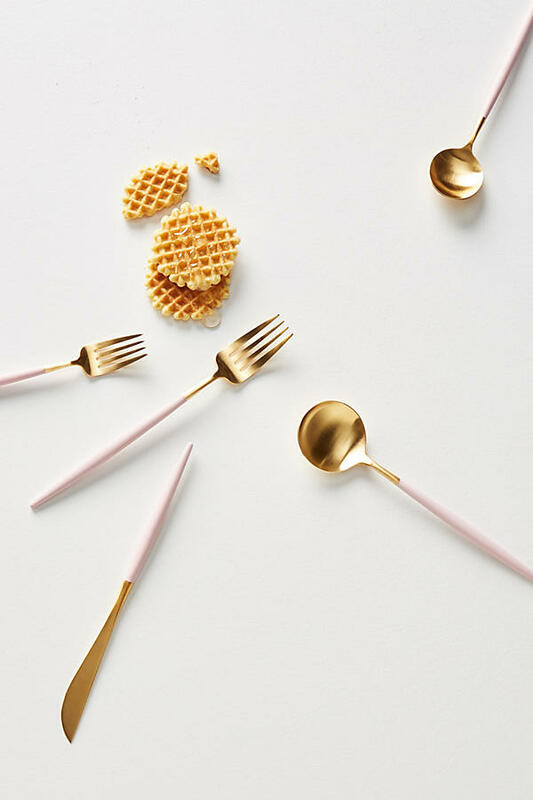 Extra cool thing about this collection from Crate & Barrel: You can even purchase matching chopsticks. 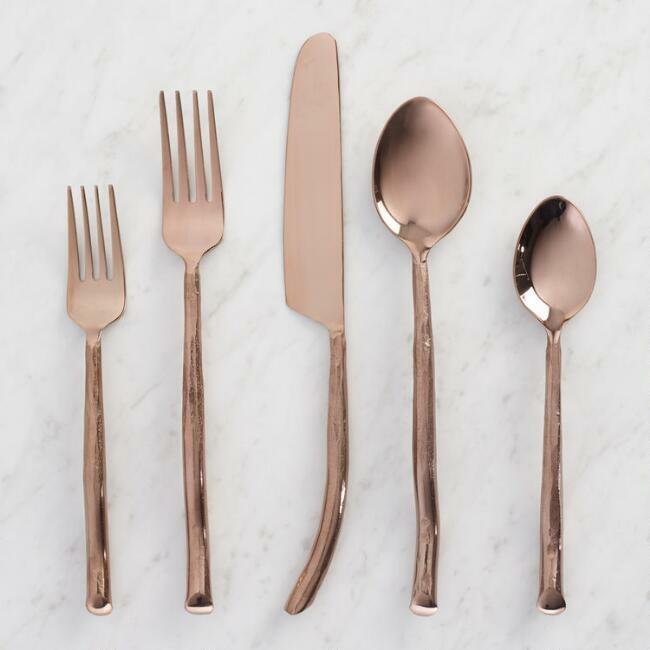 If your home decor style leans more glam, these blush and brass-toned place settings will fit in just right on your Thanksgiving table. They’re not actually brass (molded and dipped stainless steel, which is good for safety/durability reasons), but they get that elegant look just right. These are a little higher on the budget scale — $158 for a five-piece pacesetting. 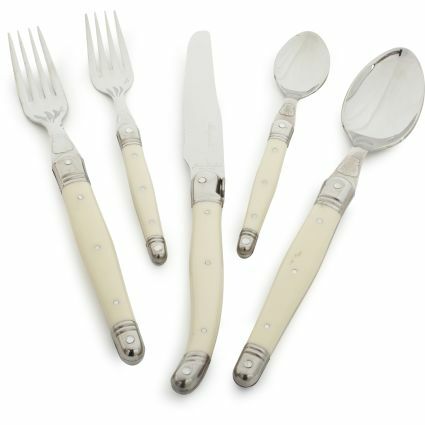 For your Provence-pretty dining room: These have ivory-colored acrylic handles, so you get that delicate, handcrafted look, but can still toss them in the dishwasher when Thanksgiving dinner’s done. A five-piece setting runs $70. Love/hate our choices? Have some others that you’d prefer to see on your Thanksgiving table? Drop your suggestions in the comments, or on the ACRE Facebook page — we’d love some more ideas. If you’re leading into Thanksgiving 2017 looking for a new home to host your holiday gatherings in 2018, let us know if we can help you track it down. Reach ACRE here, or for an easy way to get your Nashville househunting process started, fill out this quick form.